My wife is mushrooms mad and says the mashrooms Oskars are the best. I would recommend the Sole fish for 2 just make sure you are hungre!!! The only place we found that cooked traditionally over real flames. The difference in taste was worth the searsh. The choice of music between dances was very good and enjoyable. Thank you to all from table 8 and we found the food and price to be extremely good. Lowest price with the highest quality food on the island was only at Oskars. Today has been the best day of my life. As my new wife and I got wed in Argostoli at 1pm today. After photographs and the service we then headed for Oskars. I have to say that they have been very helpful and nothing is a problem. They are not greedy people nor ruthless, if they think that you have ordered enough food for everyone they will tell you. I shall be putting plenty of pictures on their website of our day and the night do here. If anyone wishes to get hitched in Kefalonia then do it! We have absoulutely no regrets. The place is awesome! Excellent food (I had beef greek style), outstanding service, friendly environment and reasonable prices. When you visit kefalonia, you should definetely visit OSKARS! Thank you guys! See you next year! A BRILLIANT EVENING. AGREE THAT THE REPS DO NOT ENCOURAGE A VISIT OR REFERENCE TO THE LEAFLET. AS STATED EARLIER, ANYONE WHO RELIES ON THE REPS TO TELL THEM WHERE TO GO SHOULD BE VERY CAREFUL THEY DON’T MISS OUT ON THE BEST PLACES! Thanks for a lovely welcome from all the Family at oskars. We also staying in Oskars apartments which are so beautiful we want for nothing. Rosa (Mrs. oskar) is so lovely to us every day. Oskar is simply the best. One more point I would like to make, oskars booklet containing Greek words the best help ever. If you prefer a quiter beach, start at lassi and walk along the romantic fanari road and after OSKARS! the first one you come to is Piniatorou, the second is FANARI LIGHTHOUSE beach. p.s Everything is very clean. P.p.s We are travel agents in the UK & will be recommending Ockars to our customers, for its service & atmosphere & an excellent night’s entertainment. Thank you Nathan How for your comment maybe some tour managers will wake up and stop talking badly, telling the tourists not to come to Oskars. We are happy because our guests enjoy themselves and recommend us to others. We are giving a copy of Mr Hows comments to other people because we want them to visit our website and read the hundreds of good comments from our customers. Μy family and I have been to Kefalonia for our holidays for the last 10 years because it is a very beautiful island and the people are very friendly. We have tried many restaurants as well as Oskars. We love Oskars very much. The family who run it work very hard and are wonderful people, the food has never been disappointing it is always the best. The restaurant is not in the centre of Lassi and many people miss out on a superb night out. 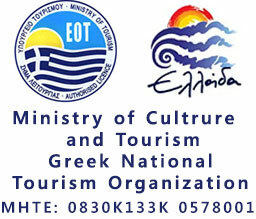 Our tour operator do not respect the integrity of us holiday makers and do not give us the true information! Some of their recommendations are not good. Our tour rep are aware of the good restaurants but don’t recommend them because they haven’t made a deal with them!business. Stop insulting our intelligence we pay good money for our holidays and the reps should be working for us the tourist. The main road in Lassi has 18 restaurants and the road to Fanari has 3, a lot of choice, we can make up our own minds about who is the best. P.S. in our families opinion that is Oskars but go and read the menu for yourself see the prices and the place and you will see the truth! Stop giving a bad name to good restaurants because holiday makers who have tried them have proved you wrong and have found out that they are good! Perhaps when I get home I will name the tour company, rep and manager concerned!!! !